Like many of us these days, over-worked and stressed out, I’m always looking for natural therapeutic treatments that allow me to fully escape from a demanding lifestyle. A new and unique form of luxury spa service comes to Toronto that allows you to do just that…while floating on water. 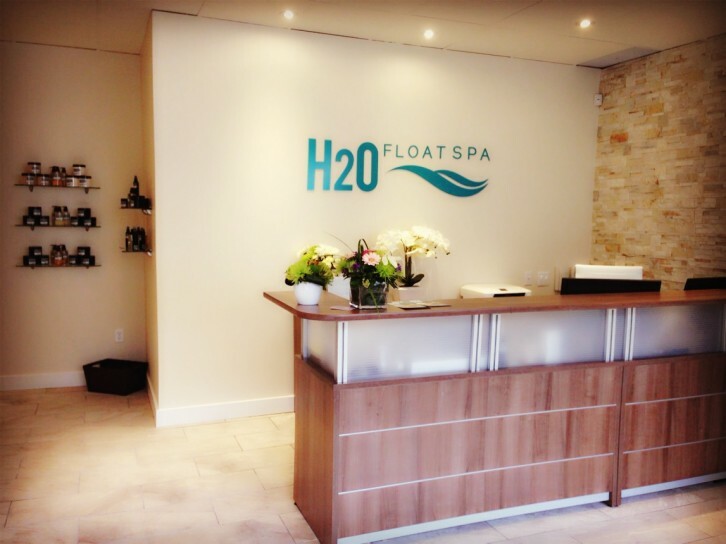 Recently opened at Broadview and Danforth, H2O Float Spa offers floatation therapy. 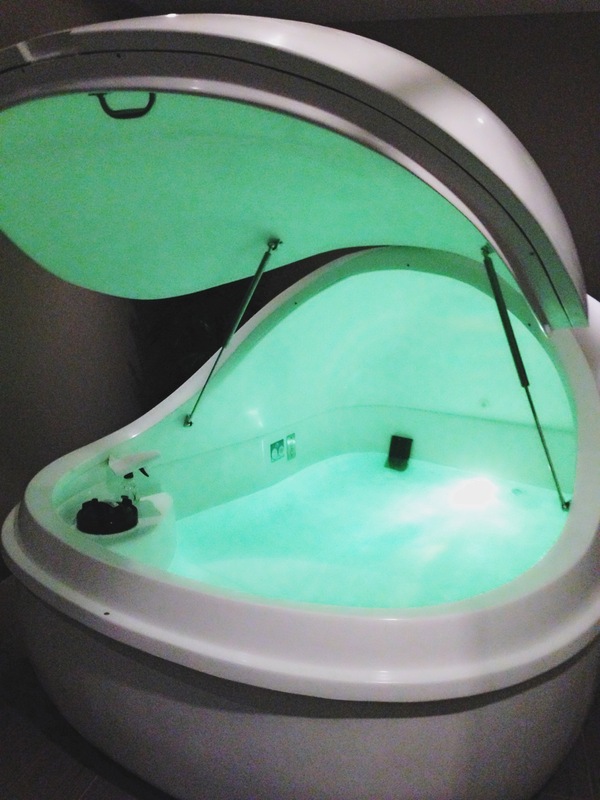 Hoping to cure my worsening insomnia, I had the opportunity to experience a float session. 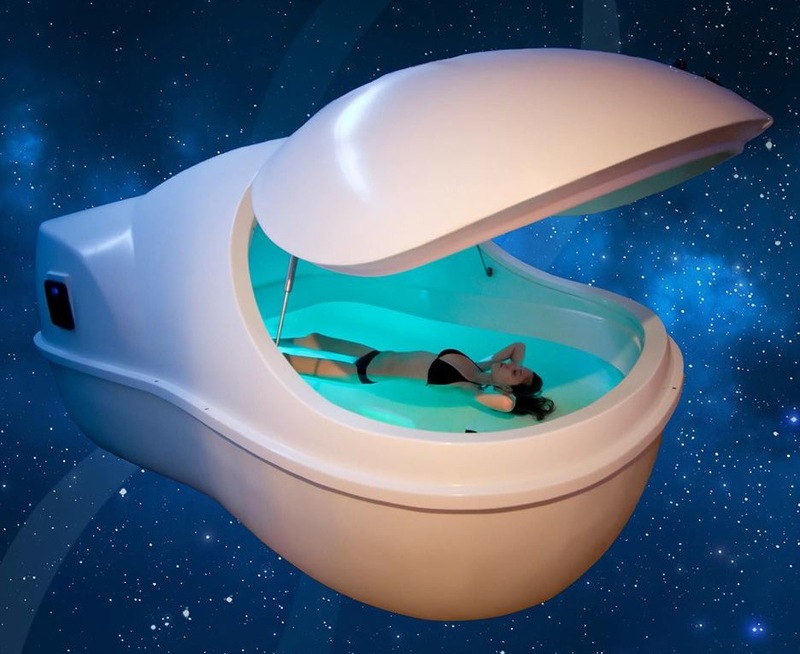 Originally designed for sensory deprivation experiments, floatation or isolation tanks are soundproof contraptions filled with warm salt water. Floatation therapy or “floating” allows you to float in the tank without being completely submerged under water, due to the high density created by the Epsom salt added to the water. The service also provides a soundproof environment, with water and air set and regulated to the same temperature as the surface of your skin. The session lasts about 1 to 1.5 hours, depending on your preference. A float session is similar to soaking in a warm bath, except your body is able to fully and comfortably stretch out. The privacy and minimization of external sounds also allow you to experience deep relaxation. Studies have shown float therapy to reduce levels of cortisol, a hormone released in stress mode. The composition of the liquid used in a float session is also a key element to achieving relaxation nirvana. A large amount of Epsom salt is diluted with the water. Epsom salt, aka magnesium sulphate, is believed to alleviate sore muscles and relaxes the body, among other benefits. Because our skin is able to absorb the mineral through natural diffusion, soaking in Epsom salt bath will help balance out any magnesium deficiency (which can be caused by stress). 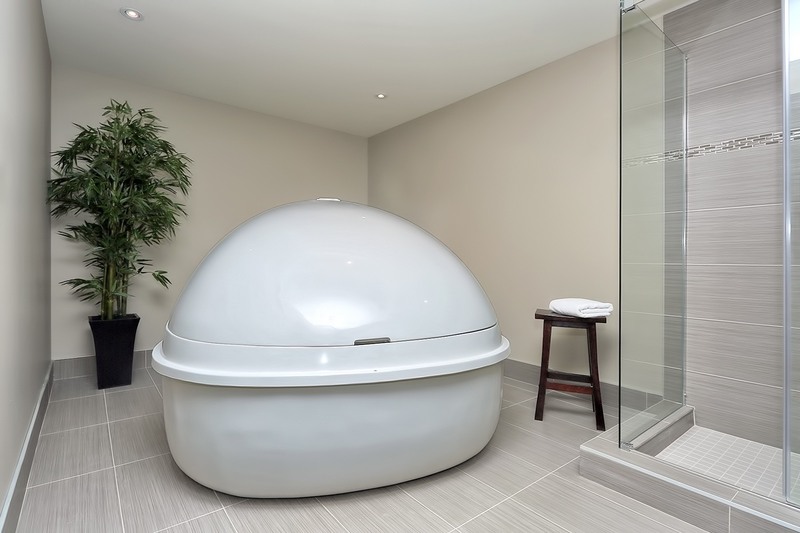 At H2O Float Spa, each float suite is equipped with either open concept over-sized float tubs or enclosed-style pods (which look space age!). A convenient private shower is located in each suite for before and after rinses. Since the pods create a more private and isolated experience (plus, they look cool), I chose this option. The pods (or tubs) are filled with 10 to 12 inches deep of warm water (temperature-controlled), mixed with 1000 pounds of Epsom salt. I could feel the density of the water immediately after I got into the pod. It took me no effort to float to the surface of the water. My head was also kept afloat without exerting any strength. I opted to close the pod door, but you can leave it open if you’re claustrophobic or just aren’t keen on enclosed space. Suspended by hydraulics, the door could be easily closed or opened at any time during the session. I had also intentionally turned off the pod lights to create a pitch-black interior. There I was in the silent darkness for more than an hour, floating in the warm salt water, alone with my thoughts. For the first 20 minutes, my body tried to acclimatize to its surroundings. I felt a bit warm at the beginning and had to open the pod door. After a while, probably close to an hour into the session, I was able to adjust and relax. I almost drifted off to sleep towards the end! But before I could do that, my session had ended. Aside from my immediate relaxed state, when I emerged from the pod, the first thing I noticed was that my skin did not wrinkle like a prune after being submersed in water for 1.5 hours…all thanks to the Epsom salt. The next thing I noticed was the detoxifying effect. Your body wants to purge the accumulated toxins and therefore makes you urinate (TMI, right?). But this is completely normal, as you should experience similar results after a good massage. Upon getting dressed, I discovered how soft my hair became, without the use of any hair products. That night, instead of waking up several times a night and not being able to get back to sleep (my usual slumber routine), I stayed asleep for almost 8 hours straight until the next morning. The next day, I felt rejuvenated from the full, quality night of sleep. After trying a slew of holistic treatments catering to stress relief (ie, massage, shiatsu, acupuncture etc. ), I found the effects of floating to be just as powerful. The price points for float sessions at H2O Float Spa are reasonable and comparable to other therapeutic treatments ($89 for a 90-minute float), if not less expensive than their counterparts for the same duration. The spa also offers other services such as reflexology and shiatsu massage. Floating is a natural therapeutic treatment for those who are looking for a non-evasive way to heal from stress-related ailments, or for those who simply want to unwind. In today’s frantic world, being able to shut away from a bustling day for a brief period of time, and to allow yourself to take advantage of that quiet solitude to reflect, meditate, or sleep, is an invaluable luxury.